Care is key: Former prime minister Paul Keating says palliative care is where the real priority should be. WHEN former Queensland premier Campbell Newman opened up last week about his deep regret over not fighting to legalise voluntary euthanasia, he joined a list of Australian leaders to have publicly entered the end-of-life battleground. In 2016 former prime minister Bob Hawke endorsed voluntary euthanasia after describing how he was “losing his marbles”, and former Northern Territory chief minister Marshall Perron was the architect of the world’s first voluntary euthanasia legislation – the Rights of the Terminally Ill Act 1995. It was fellow conservative, former prime minister John Howard’s government that overturned the Northern Territory law in 1997. Prime Minister Scott Morrison is on the record saying he will never support euthanasia. Both sides acknowledge the agonising and emotional nature of the end-of-life debate. Mr Newman told The Courier-Mail on March 8 he had watched his mother “waste away” as she battled Alzheimer’s disease. His family could not fulfil the wishes of his mother Jocelyn – a supporter of voluntary euthanasia – because voluntary suicide remains illegal in Australia. Jocelyn Newman died almost a year ago and her son wrote: “We saw a charismatic and commanding woman change. Comparing her to a small bird he could have carried in one arm at the end, Mr Newman recounted how his mother’s death ended up being “merciful” – it wasn’t dignified. Six months ago Queensland Premier Annastacia Palaszczuk ordered an inquiry into end-of-life care, including the issue of voluntary euthanasia, with Queensland now the last state in the country to debate the issue. 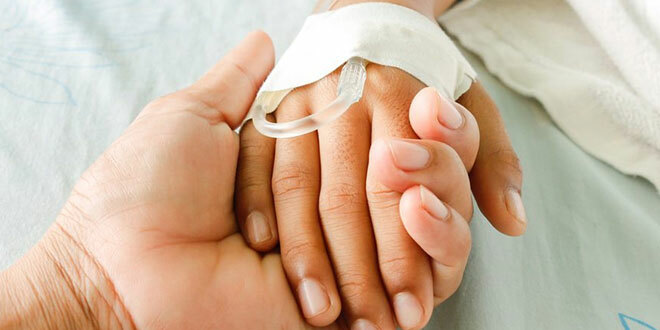 A parliamentary health committee set up to examine the issue, has the support of pro-life advocates as well as euthanasia supporters, simply because they too see the urgency of better end-of-life care and believe that palliative care represents the very best option. “We think that palliative care is underfunded,” Cherish Life’s vice-president Alan Baker said when the Queensland inquiry was announced. The Queensland end-of-life inquiry is due to report back in November. Mr Newman said he regretted not fighting to legalise euthanasia, and yet the issue was now firmly on the political agenda across Australia. Victoria’s voluntary assisted dying laws come into effect this year, open to competent adults with a terminal illness and six months or less to live. For those dying of neurodegenerative diseases, such as motor neurone disease or multiple sclerosis, the time frame is extended to 12 months or less to live. Western Australia will introduce a bill next year. South Australia’s last bill in 2016 was defeated by a single vote in its lower house of Parliament. Mr Keating described the Victorian vote to legalise voluntary euthanasia laws as “a threshold moment” for the entire country. He slammed the “bald utopianism” underlying the case for change, which assumed rules would never be bent by doctors and families when it becomes more convenient for carers or financial beneficiaries to see a gravely ill person die sooner. Mr Keating also condemned the parlous state of geriatric and palliative care in Australia, which he said was where the real priority should be.